Hi loves, I must say it is one of my favorite time of the year when Ulta has their 21 Days of Beauty, and of course I have been taking advantage of the sale! 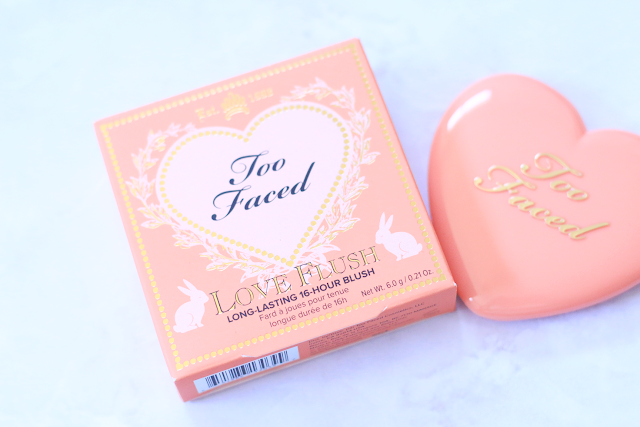 I was able to pick up one of the Too Faced Love Flush blushes, and I was able to get it for half off. I ended up getting the shade I Will Always Love You which is a beautiful peachy blush which I thought would be perfect for when the weather gets a little warmer where I am located. I have never tried this formula before and I wish I would have picked up all of the shades because I am so in love. 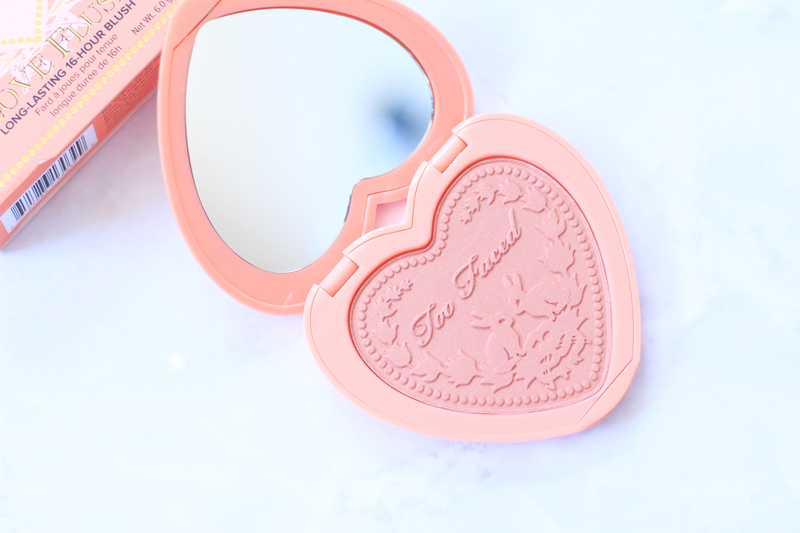 One thing I love about the blush is the packaging. 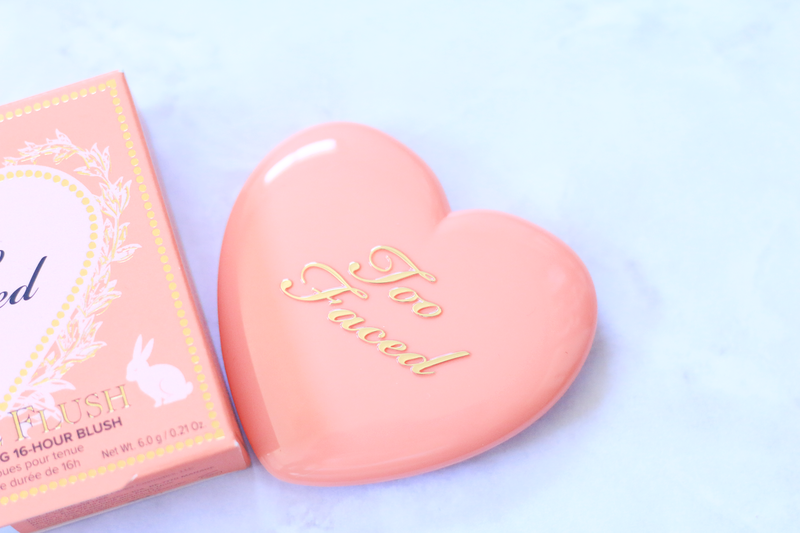 Too Faced comes out with some of the best packaging when it comes to their products. I love the heart shape and also the detail that is on the actual blush. 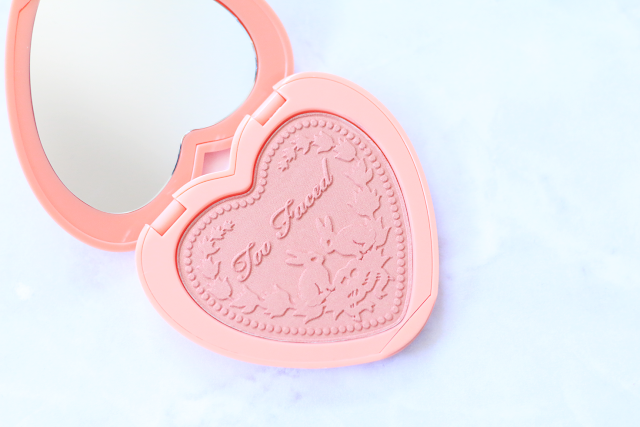 These blushes are much thinner compared to their Sweetheart Perfect Flush blushes. They do not take up as much space and are perfect for traveling. 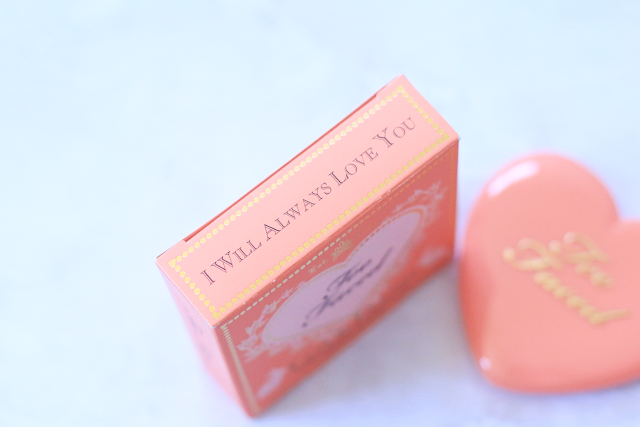 I Will Always Love You is just a great everyday summer shade. The formula is is very buttery. 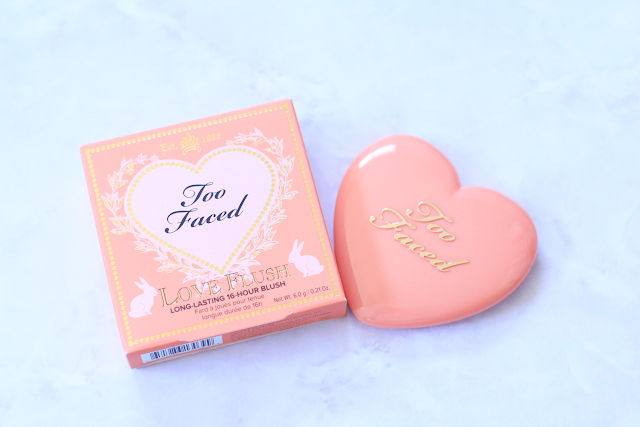 They have amazing pigmentation and apply so easily to the cheeks. 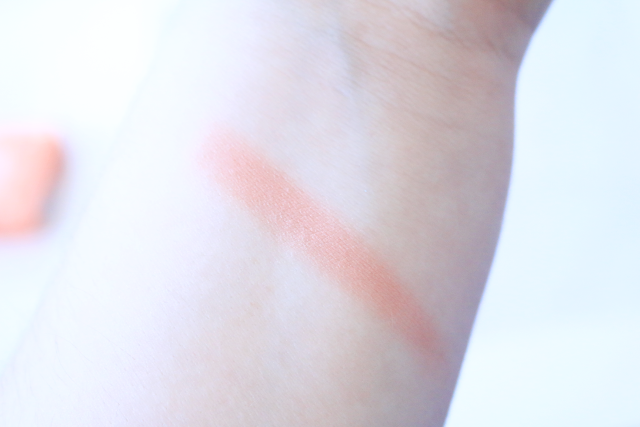 I also noticed that the blush blends out like a dream. It is basically everything I look for when it comes to a blush. Sadly the half off sale for this product was only for one day, but I honestly think it is worth the full price! Let me know if you have any of these blushes! I have my eye on Baby Love next! That shade looks stunning!